Tom Parker, CEO of Brussels agency Cambre Associates, has been promoted to the newly created role of chief sales officer at its Milan-headquartered parent company SEC. He told PRWeek that in the new role he would spend at least 50 per cent of his time working across the SEC network of companies to improve the way they cross-sell their services to clients across national borders. Parker (pictured) said that until now, instances of SEC agencies collaborating on clients had been "more about how opportunities came about than anything proactive". He will also work to promote the group and spot business opportunities, and retains a role as chair of Cambre, which he co-founded. Parker was already a SEC group board member. Public affairs and PR firm Cambre has also announced the promotion of Victoria Main to CEO. She previously lead its tech practice and was earlier head of global media relations at Nokia. Cambre was acquired by SEC in 2013. The Italian group has since signalled global ambitions by listing on London's AIM and making a series of acquisitions in countries including Colombia and the UK, taking a minority stake in Porta and a majority stake in Newington. It also has interests in Spain, Germany and Poland. More acquisition news in Europe is expected soon, Parker said. SEC Group ranked as the world's 67th biggest agency in the 2018 PRWeek Agency Business Report, with close to 300 staff. Asked by PRWeek to comment on Brexit's affect on the business in Brussels, he said: "Frankly I think the comms business in brussels sees Brexit as an opportunity, both in terms of work untangling all the complications of Brexit, but also with the UK [soon] being outside of the EU, it will inevitably mean that some customers will say 'we want our work to be done elsewhere'." "One of the reasons for that could be due to data; if the UK has a different data regime, working in the UK could be a problem," Parker said. He also mentioned that a healthcare client had recently expressed concerns that exhibition stands and materials that would be used at industry events might be held up at customs if entering the UK, given uncertainties over such arrangements post-Brexit. 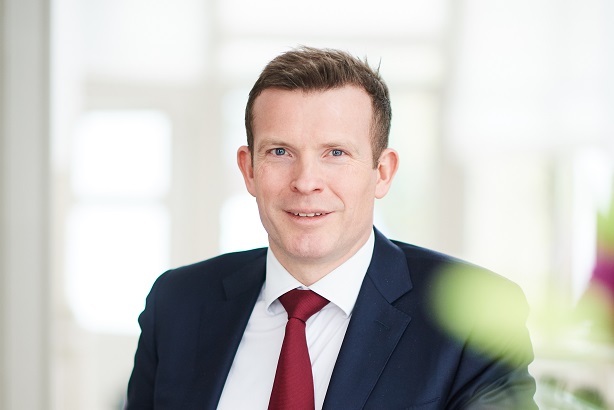 Mark Glover, CEO of SEC's UK business Newington, said Parker's new role was "a major investment by SEC Group in a co-ordinated global marketing approach, which will reinforce both SEC and Newington’s strong offer across public and corporate affairs". "In the UK this was recently reinforced by Newington’s hiring of Michelle di Leo," he said.